8 genuine baguette-cut red mozambique garnet gemstones are set in this lovely 14k white gold band. The ring can be worn just by itself or as a stackable band with your other favorite rings or can even be used a quality garnet gemstone wedding band. The mozambique gems measure 4mm x 2mm in size and the band measures 3.2mm wide. 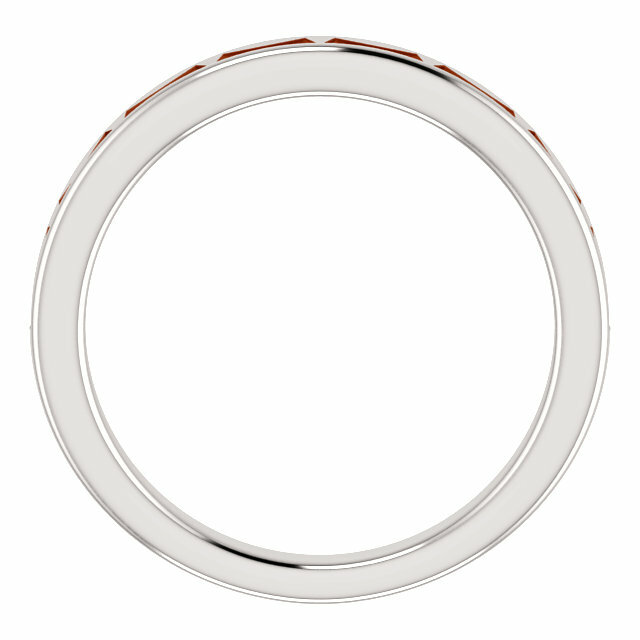 This ring is available in women's sizes 6-8, including half sizes. Also available in 14k yellow gold (shown below), as well as with various gemstones, such as peridot, amethyst, aquamarine, white topaz, and more. Includes free shipping in the U.S.A. (with international shipping always available). Apples of Gold Jewelry also has free shipping on this baguette-cut garnet band and on every gemstone jewelry purchase. 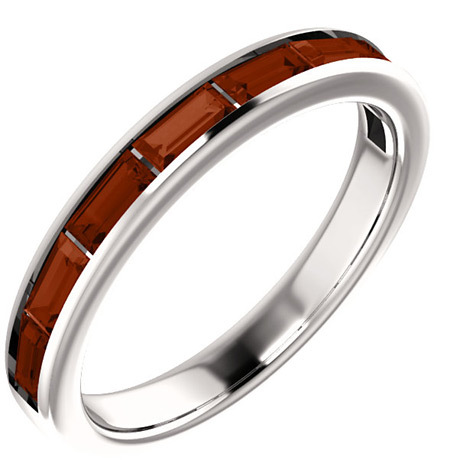 We guarantee our Mozambique Baguette Garnet Band, 14K White Gold to be high quality, authentic jewelry, as described above.